Moms are shelling out big bucks to get pros to do the dirty work. Should you? Donna Lynch, who's too embarrassed to use her real name, had potty trained her older boys with very little stress, but after trying for nearly a year with her third son, she met her Waterloo. With two other sons in school and a hectic schedule, Lynch enrolled her son in a one-day Booty Camp near her home in Chicago. At the end of the day, she left with her (mostly) potty-trained 3-year-old. "Our potty trainer was like a teacher, a life coach, and a therapist all in one," she says. Lynch is far from alone. All over the country, parents are hiring pros to weigh in on the tasks that make up much of the stress of early parenthood. While the concept of hiring help is nothing new for bleary-eyed parents who've kept night nurses and lactation consultants well fed, today's crop of outsourcing services puts previous generations to shame. It's no wonder. We're a culture suffering from information overload. Reality shows like Nanny 911 and Supernanny fan the flames of our insecurity while at the same time making us long for an expert who offers personalized advice. "These programs show parents how much simpler it would be to hire someone else to do what we ourselves struggle to accomplish," says Gretchen Silver of New York City, who consulted a sleep trainer for her 9-month-old. And for every mother who doesn't understand the impulse (let alone the expenditure) to outsource the dirty work of parenthood, there's a mom who says she's juggling more stuff than ever. "Every hour I don't spend researching and gathering information is time I get to spend with my daughter," says a Washington, DC, mom who hired a baby concierge. And many, who live hundreds of miles from where they grew up, feel the experts can provide the support and comfort that their far-flung family members cannot. So which services are parents spending their hard-earned cash for? Here is a list of some, what they offer, and the bottom line. what the pros do: For a fee, a babyproofer will come to your house and recommend the changes to make—from covering outlets to figuring out how to make a fireplace safe. Then you usually have the option to buy and install the equipment yourself (saving yourself hundreds of dollars) or have the babyproofer do it all. is it worth it? Moms who use these services say it takes a long time to read up on things—and then go around the house trying to spot all the possible hazards. "I kept thinking, 'What if I try to do it all myself and miss something important?' " says Kristi Charter Leipsner, an Austin, TX-based mom of two. "I didn't feel I could risk it. It made sense to hire a pro who knows more than I do about how to prevent accidents." Not everyone agrees, though. Pamela Paul, author of Parenting, Inc. and a mom of two, says hiring a pro is an unnecessary expense. "It's really not that hard to babyproof yourself," she says, adding that parents become less vigilant if they trust that someone has sufficiently padded their home. "And most of the safety equipment that parents are talked into buying doesn't solve the bigger accidents, like a toddler's falling off a chair." bottom line: It's easy to get the info you need to babyproof. But if the thought of babyproofing freaks you out, you may want to spring for the service. You can find a pro in your area by going to the International Association for Child Safety's website (Iafcs.org). Just remember that you'll save a pile of money if you do most of the work yourself. what the pros do: Some, like Wendy Sweeney, R.N., a registered pediatric nurse and mom of six in West Chicago, IL, run one-day classes. In Sweeney's five-hour, $300 Booty Camp, kids eat, drink, play, and learn to use the potty together. Others, like clinical psychologist Maria Zimmitti, Ph.D., who practices in Washington, DC, will talk parents through the process for $250 a session. "Parents come to me when they're in full crisis mode—usually in the summer when they need to get their kid trained for preschool—and they just can't handle it on their own. I do a lot of hand-holding," she says. is it worth it? After struggling for months, one Chicago mom sent her 3-year-old to Sweeney's class. "We did a class on Friday, and by Sunday my son was going in the potty and only had two accidents," she says. "Without her class and reassurance, I don't think I could have motivated my son to learn." Potty training stirs up a lot of issues, not to mention accidents, tears, and whining (from you especially). 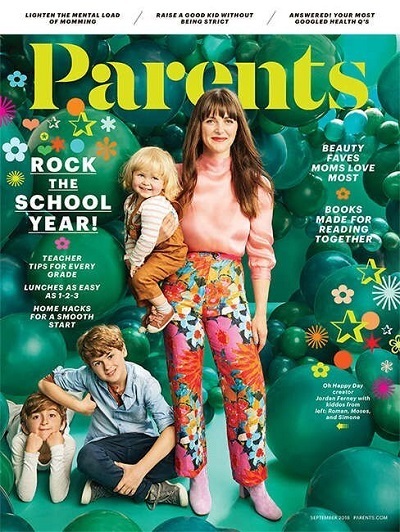 "There's this notion that we'll somehow damage our kids if we do it wrong, which I don't agree with, but it's still the way many parents feel," says Zimmitti. But she stops short of doing the work herself. "You really miss out if you outsource the whole thing," she says. Other experts agree. "Going through developmental milestones and learning to set limits deepens the bonds with your child because you're learning to conquer something together," says Frances Walfish, Psy.D., a child psychotherapist in Beverly Hills, CA. bottom line: Moms tend to turn to trainers when they're at the end of their rope, finding them through their childcare providers, preschools, or word of mouth. "I had too many things on my plate, and my patience had run out," says one mom. "Hiring a pro helped avoid a lot of strain on our relationship." Still, this is a milestone all kids master—when they're ready. If you're stressed-out, ease the tension by laying off for a week or two, then try again. what the pros do: It's like your very own Supernanny—someone observes your family in action and then goes over alternative ways of dealing with your child's tantrums or whatever drove you to seek help. The price for all this one-on-one attention? Over $100 an hour. is it worth it? Coaching turned out to be the lifeline Missy White of Boston needed. A single mom of a 5-year-old, she turned to a specialist when her child's behavior became too much for her to handle. Her daughter, who was diagnosed with sensory processing disorder, couldn't seem to sit still and wouldn't listen. The expert advice White got is helping her be a better mom, she says. "The specialist suggested I make a reward chart instead of taking away fun things from my daughter, which is what I was doing before." "Parents don't want to spend the little time they have with their kids disciplining them," says Sally Wilkinson, founder of Urban Nurture, a company in New York City that provides families with nanny-style behavioral coaching. But others say that's the opposite of what should be going on. "Kids need to know that their parents can stick by them even when they're at their worst," says Walfish, "but I don't think they can learn that when parts of parenting are farmed out." bottom line: Moms are afraid of asking friends for help because they don't want to look like failures, says Wilkinson. If your child has a serious problem, talk to your pediatrician. Otherwise, it's better to reach out to pals—online or off. what the pros do: Baby planners help moms-to-be sort out the must-haves from the don't-needs, plus plan showers and design nurseries. The price? About $50 to $150 an hour. is it worth it? "Members of my family are older and don't know the latest trends, so it was so helpful to have someone show me around the big baby store and tell me what was worth getting," says Mandy Carter, a mom in Columbus, OH. Beth Smith (not her real name) of Washington, DC, agrees it saved time. Smith hired someone because, she says, her friends are equally clueless new moms and her family is too far away to be of much help. "The expert helped me navigate through all the options: Did I really need the video monitor? Was it worth splurging on the Bugaboo?" she says. In fact, Smith's only regret is that she didn't pay for a follow-up visit. "I ended up buying a crib on my own and it's caused me endless frustration." bottom line: Save the bucks. If a friend can't help you out, check out Parenting magazine's Baby Must-Haves, a mom-tested guide for all the gear you really need. what the pros do: Some will coach parents in person and over the phone. Other experts will come to your house and actually train your child. The cost can start at $300. is it worth it? "A kid who's not sleeping has a huge impact on the family," says Paul, who's not a fan of outsourcing but makes an exception for sleep training. "It's more difficult to learn from a book because each case is individual." "I wasn't successful doing it on my own. I needed someone to hold my hand and show me how," says Silver, who was trying to get her little co-sleeper into a crib. "I did have a few sleepless nights after the consultant left but the whole thing gave me confidence—and everyone's sleeping through the night now." bottom line: "Compared to the amount of money parents spend on 'stuff,' I'd say a good night's sleep is worth a thousand organic Onesies," says Paul. One way to find a coach: Go to the library or bookstore; many sleep-training experts publish their contact info, and this way you can check out their training philosophy and see if it's right for you. Sasha Brown-Worsham, a mom of two, has written for Babble.